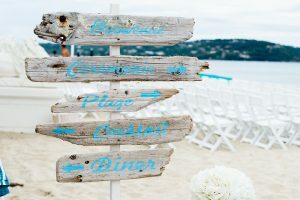 You are here: Home / Non classé / How to Organize your Wedding on the Beach? Many of you want to unite in a setting like this, but now you do not know where to start or even who to turn to? 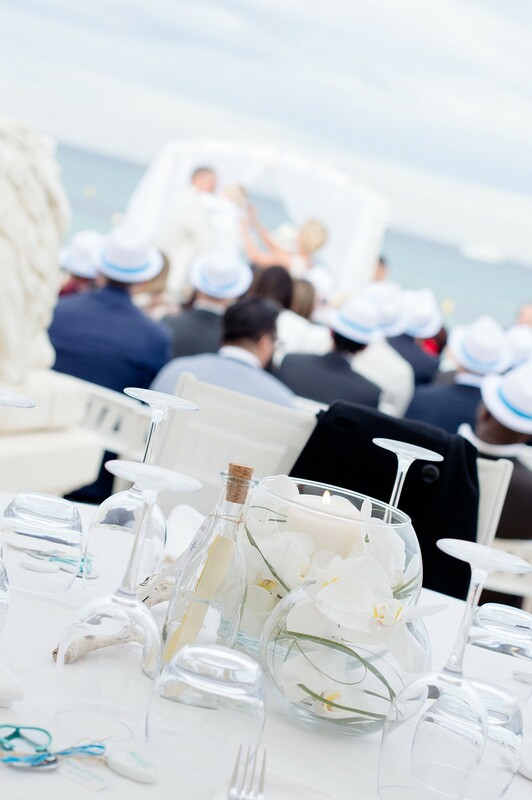 Your agency Label ‘Emotion Côte d’Azur specializes in weddings in the South of France. From St Tropez to Monaco, via Cannes, Juan les Pins, Nice …. So many destinations of dreams, for an exceptional event! 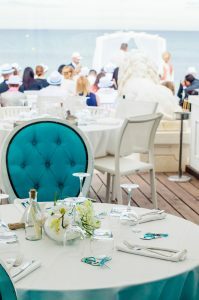 It is forbidden to get married on a public beach, at least to organize a whole ceremony, cocktail plus wedding dinner. 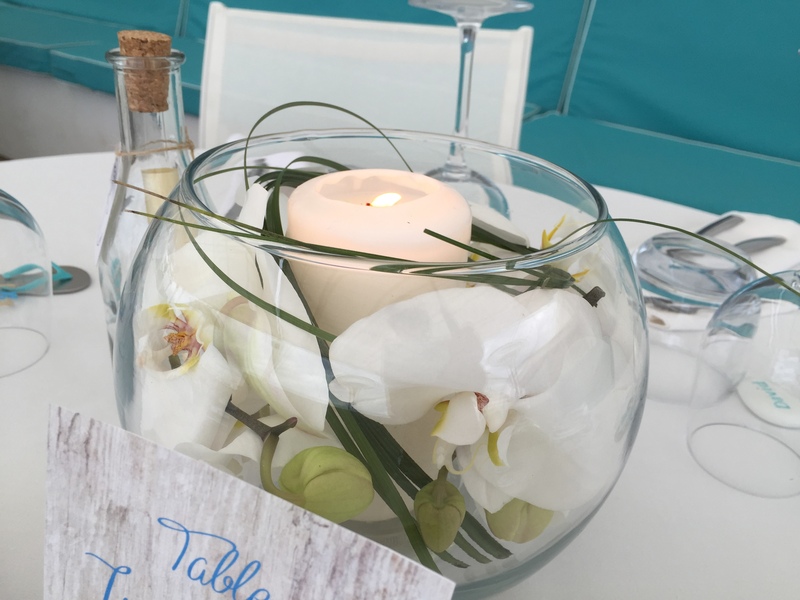 First of all according to your criteria (budget, number of guests, location etc …), you have to make quotes and visit several frames to find the ideal place of marriage! Each one has different criteria, a precise capacity, very distinct services…. Then, make visits, feel the frame, the general atmosphere that emerges from it, it is a unique day, the place must be too! 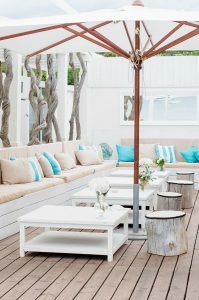 Generally, a private beach opens its doors from 19h00, after their day (restoration, transat) it is a detail to take into account in its planning of the day. By the end of the evening there are permits until 2:00 am. This does not apply to all the places, some will propose to you the privatization of the beach during the whole day, thus allowing the assembly, the installation of the marriage. As for the end times, they may also vary. 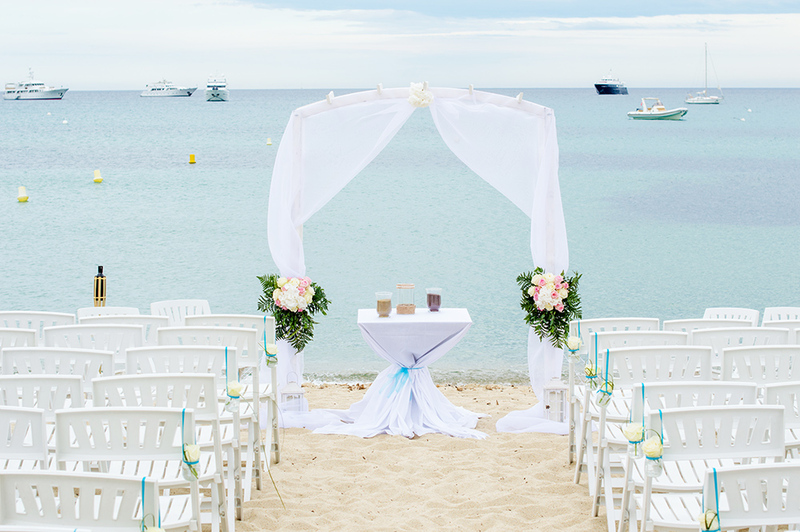 Yes to marry on a beach requires a lot of organization and logistics to be envisaged. 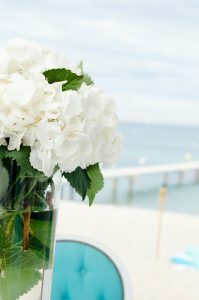 I reassure you, we WEDDING PLANNERS are quite capable of helping you on this point. Most beaches, do not have indoor restaurant with a large capacity of cutlery. 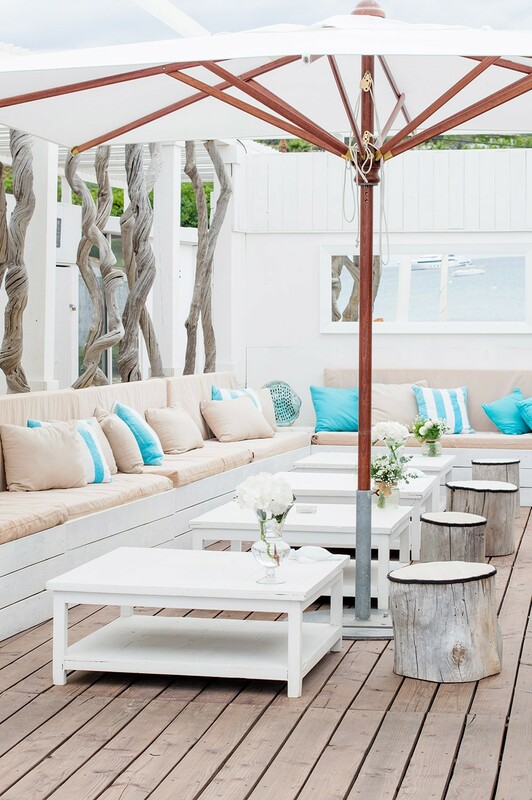 You can organize the dinner on the terrace or directly on the sand. It is therefore necessary to think of a solution of withdrawal in case of bad weather: a tent! Many providers are there to provide these services. Likewise for the musical animation part, check with the place their electrical power so that the group or the Dj can be connected. So many technical details to think upstream! 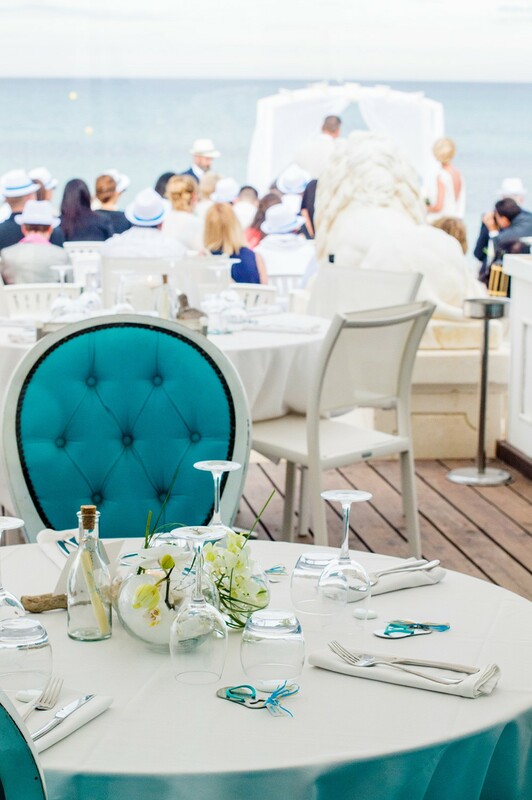 A privatization can start at around 5,000 thousand euros, plus the menu price per person, on average 100-150 euros, different drinks packages from one restaurant to another, your decoration, flowers, and the various speakers, DJ, music group etc …. After reviewing all the logistical details, constraints, organization etc … the best time to choose your WEDDING DECORATION! As with most weddings, it is often in touch and fit with the place. No need to overload, subtlety is key. Do not hesitate to contact us for any requests for organization, coordination or wedding decoration. Fancy a wedding on the Côte d’Azur, our team will listen to you!